I attended my first two years of school—Kindergarten and Pre-Primary—at the church my family and I frequented growing up. Since it was a private establishment, I was required to wear a school uniform every single day: a frilly white blouse, a red and blue plaid jumper, white socks, and little Mary Janes. Navy cardigans and white stockings were encouraged in the winter, and barrettes and bows were optional, though my mother always put them in my hair. While I didn’t really appreciate the hair accessories, I loved everything else about getting dressed up for school every morning. I adored wearing my uniform because it was a unique privilege that only my classmates and I held; that was something very special to me, and I thus took great care of that little uniform and wore it with a lot of pride. 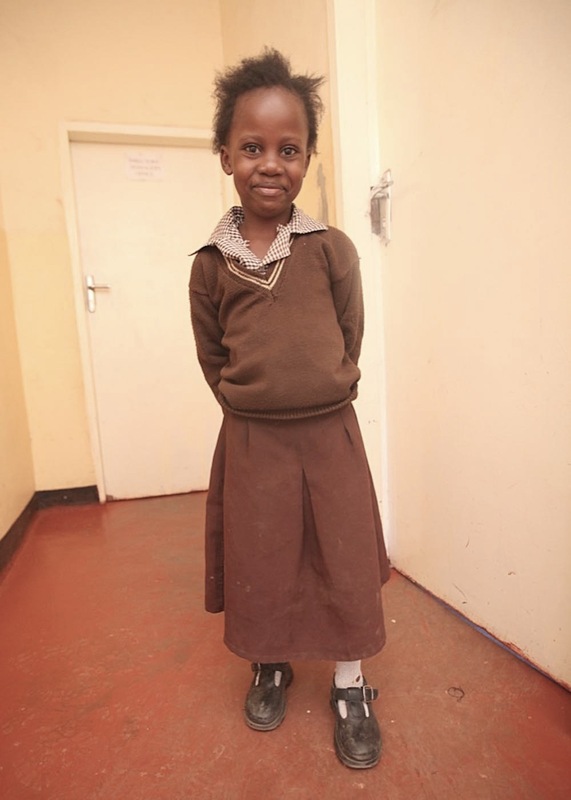 Unlike here in the States, every child in Zambia is required to wear a uniform to school. Unfortunately, many families struggle to pay for school fees, let alone the clothing required to attend school once it is paid for. This means that many of the children we work with are dressed in old, heavily used, and poor-fitting apparel that fails to meet their needs, much less their desires. But you can help! This Christmas, you can provide a child with a brand new school uniform, as well as the essential school shoes that will also help protect their little feet from sharp terrain and harmful diseases. These are not only necessities; they also instill a sense of worth and thankfulness within the hearts of the children in our program and provide jobs for local seamstresses and shoemakers.